This is a series that’s quite fun. I love used books and used bookstores. There are many things I love about them. There’s a chance to give books a second home, a chance to look back at the history of each book, times when you find a strange bookmark inside one. The bookstores themselves are neverending with curiosities and oddities. 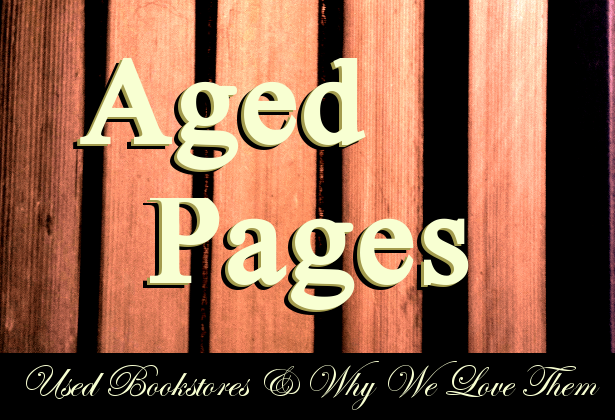 This ongoing blog series celebrates the joys and wonders of the used book world, as well as many aspects of book collecting in general. I invite anyone who’d like to, to participate with their own post. I enjoy sharing other people’s views on this aspect of the book culture. If you’re interested in doing a guest post, please send me a message via the contact page, and I’d be happy to get you on the blog!